To hear iShares’ Lee Kranefuss tell it, hawking investment products in today’s brutal marketplace isn’t as daunting as one might think-at least not if it’s ETFs you’re peddling. In fact, the Global CEO of Barclays Global Investors (BGI) iShares reports that in today’s tumultuous environment the already-popular arena his company plays in is now attracting even more investors. Volume reports for the volatile months of September and October support the claim. In September, ETF trading volume reached record highs, accounting for as much as 40 percent of total U.S. market trading volume, up from a daily average of 28 percent for much of 2008. By October the figure had retreated somewhat, hovering at 35 percent, according to the National Stock Exchange. Still, representing a third of stock trades is no small feat-particularly for an investment vehicle that barely registered on investors’ radar screens a scant five years ago. ETFs-or funds that track an index, but can be traded like a stock-are a relative newcomer to the trading block, debuting in the U.S. market in 1993. While not quite gloating, there is a definite note of satisfaction-perhaps even vindication-from Kranefuss these days. 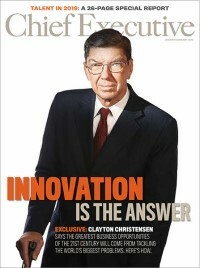 “One of the claims of active management has always been, ï¿½ï¿½In times of trouble, we can avoid problems,'” he points out. “But to outperform the market, active managers try to load up on things that will do very well. And the flip side of that is if they load up on things that do very badly, you’re worse off.” What’s more, he notes, mutual funds don’t disclose their holdings until the end of a quarter- which means investors can get blindsided by an overweighting in, say, the financial sector. ETFs, by contrast, make holdings public on a daily basis, a valuable commodity now that transparency is suddenly highly prized. And finally, ETF fees are lower (30 basis points on average) than those of their mutual fund peers, which typically are in excess of 1 percent. The ETF vs. mutual fund argument is one Kranefuss, who came to iShares shortly after BGI introduced its first ETF in 1996, has made many times over the last decade. Charged with building investor interest in the asset class and driving the development of new fund offerings, the Boston Consulting Group alum performed his task admirably. He spearheaded iShares’ growth from a handful of funds and $2 billion in assets in 2000 into the ETF behemoth it is today. iShares is currently the world leader in ETF funds, with 330 funds globally, assets in excess of $350 billion and 600 employees worldwide. It may have helped that ETFs as a whole were winning favor with both investors and the financial journalists who make a living touting investments. Or possibly it was iShares, which took a near-evangelical approach to promoting the low fee, broad diversification and trading flexibility ETFs offer to financial advisors and their clients, that helped the category as a whole. These days ETF-hungry investors have plenty of that-there are now more than 1,499 ETFs available globally (681 in the U.S.), with 356 new launches in 2008 alone (through third quarter). ETFs now come in all sizes and flavors, including a wide range of commodity, fixed income and country-specific varieties. In fact, the flood of new entries has led to some criticism of fund managers’ propensity for bringing out new iterations of existing funds. The gold rush mentality has also led to some winnowing of the field, with 42 funds liquidated in 2008 through the end of October.